You are my sunshine, my only sunshine! The north wind of 5 Beaufort is still on and is becoming a pleasant habit cooling us during a day full of sunshine. 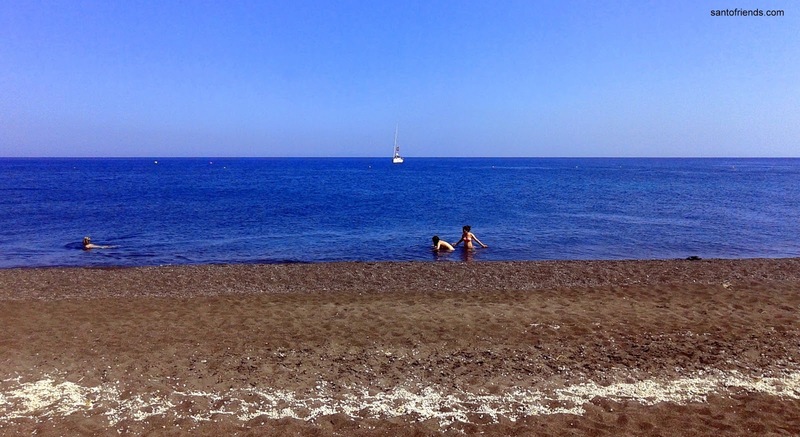 Follow your heart ... to the volcanic southern beaches for moments of relaxation! Perissa - Perivolos: Well protected from the north wind, offering anything your soul and your stomach demands! Vlychada: With the bare essentials on both ends of the beach, you can enjoy the simple pleasure of a day at the beach! Kambia – Mesa Pigadia: If you do not mind a bit of adventure and a dirt road, then feel free to enjoy the tranquility of these quiet beaches.